"Have No Fear, Bo Diddley Is Here...!" Congratulations to Sean LaRouche of Vancouver, BC, Canada and Tommy Hayes of Los Angeles, CA, USA who successfully found the 10 items in our recent BO DIDDLEY's Treasure Hunt contest. They each won a fantastic signed BO DIDDLEY T-shirt. Congratulations to you both! Look out for more exclusive contests coming up in the next few weeks with further opportunities for you to win collectible BO DIDDLEY prizes. 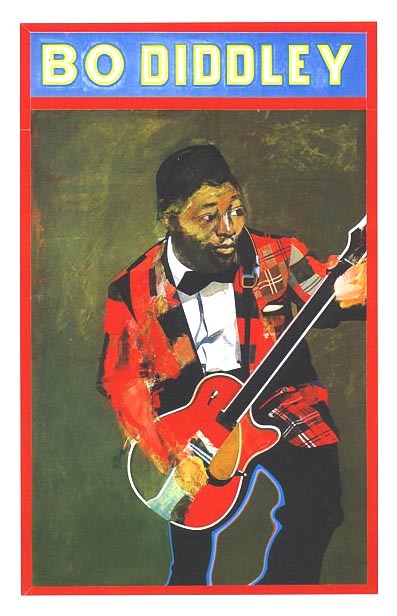 Check out this BO DIDDLEY-The Originator website Contest page on a regular basis for further details.